Bowl with cover, of silver, fluted and chased, its shape taken from an earthenware model. Formerly the property of the Sultan of Riau. 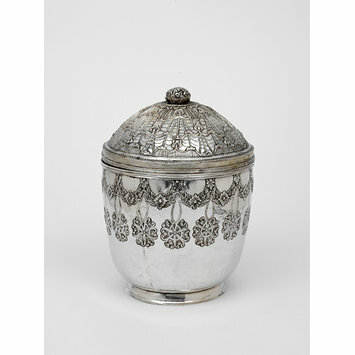 Bowl with cover, silver, chased, Malaysia, 18th-19th century. 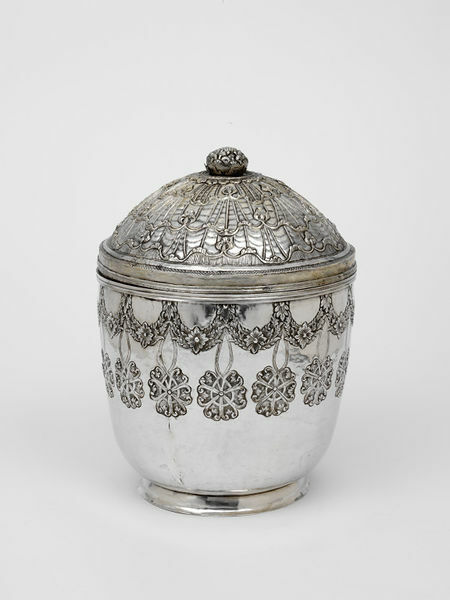 An imitation in silver of a Chinese porcelain vessel.